your Twitter and Instagram audience. 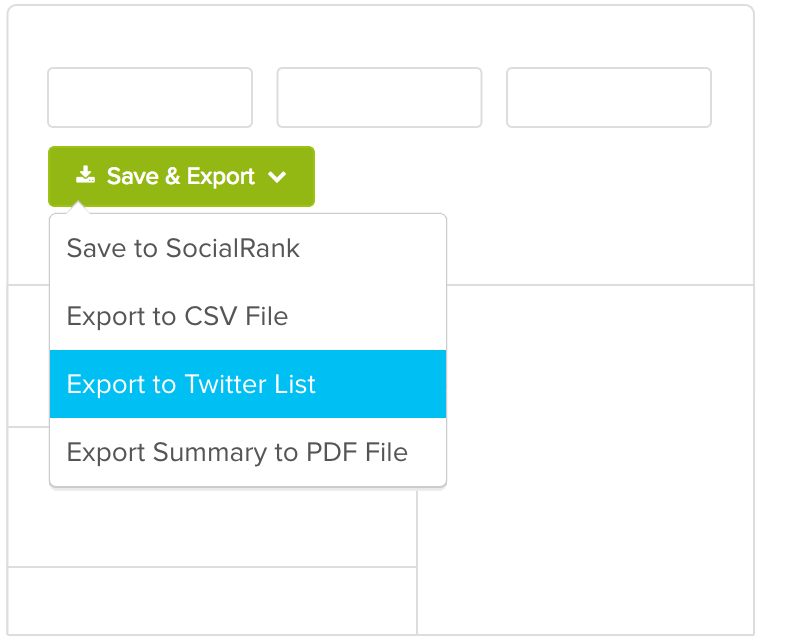 Once you find people with SocialRank, you can create custom lists, export the data to CSV (Twitter Only) & PDF, and run campaigns. 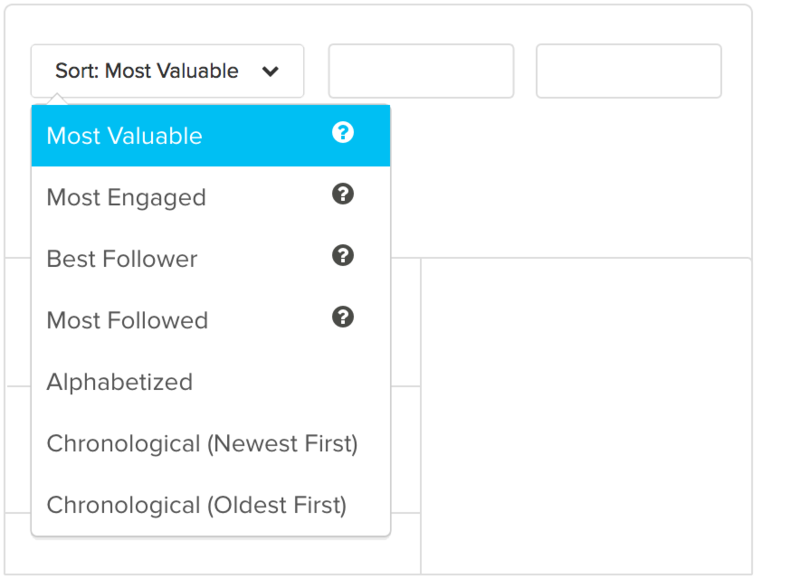 Once you log into SocialRank, you can segment your audience by using the various sorting and filtering options. 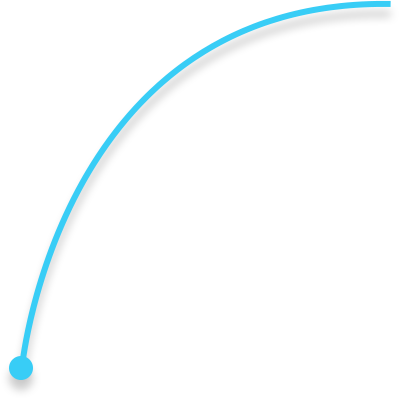 SocialRank pulls in your audience and their profiles. You can sort your audience by Most Valuable (your most influential profiles), Most Engaged (determined by frequency of engagement — Retweets, Mentions, and Replies on Twitter and Likes, Comments and Tags on Instagram), Best Followers (a combination of Most Valuable and Most Engaged), Most Followed, Alphabetized and Chronological (Newest and Oldest). 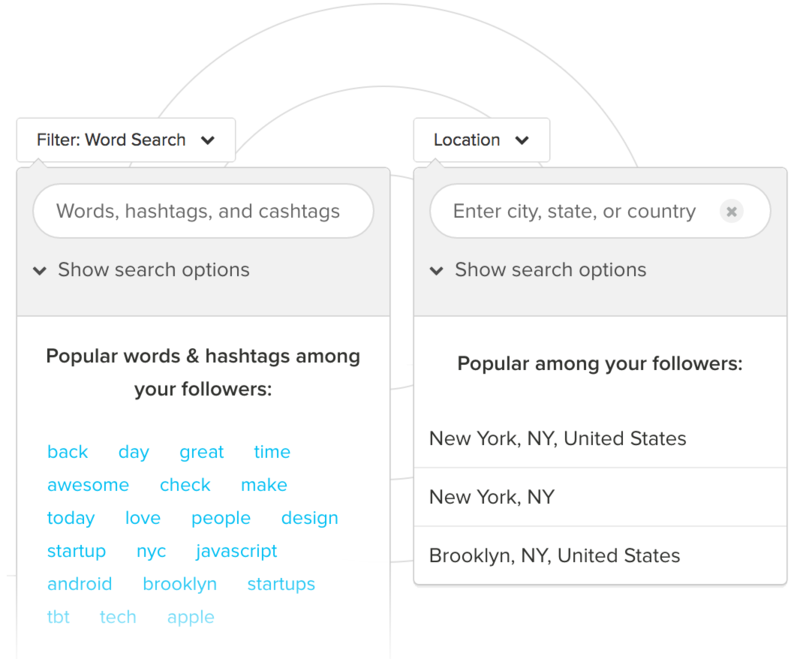 You can also filter and pin-point your audience by filters ranging from bio keyword, word/hashtag search and geographic location to verified, # of followers, activity, and more. 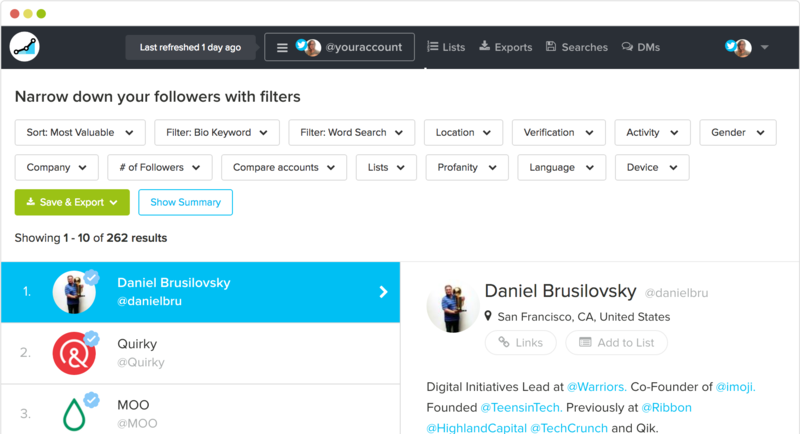 After using SocialRank to find the right people, you can take action by Direct Messaging, Exporting to CSV (Twitter Only), Exporting to PDF, Building Lists, Saving Searches and more. SocialRank is the perfect tool to help execute on location based activation, influencer marketing, seeding product and surprise and delight campaigns. SocialRank is made for the web. We recommend getting to your computer to have the best experience. If you need to use your phone, please turn horizontal to use.